Dinner @ the Marketplace is the AusAg & Foodtech Summit’s specialised networking event. The Marketplace brings delegates together in one common space to build networks in the agritech and foodtech value chain. Breaking away from the traditional exhibition, the design of the Marketplace is optimised to encourage conversation, foster genuine connections and facilitate idea-sharing. 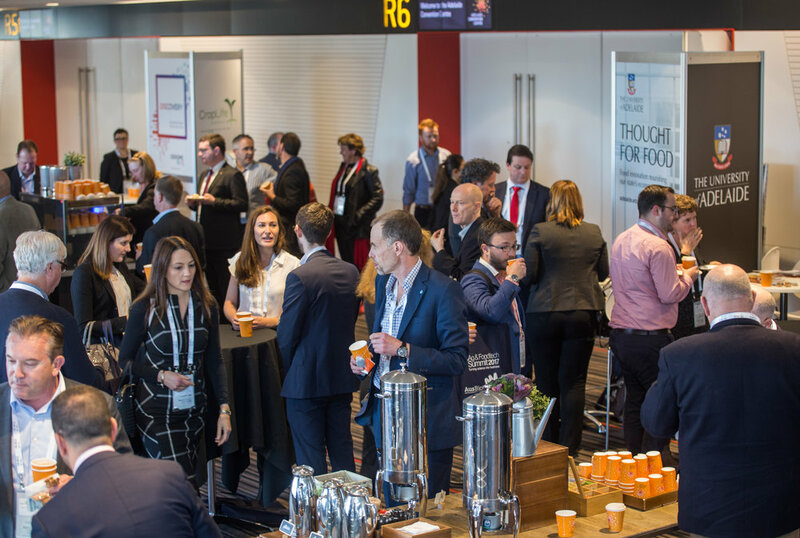 While a light dinner will be provided, delegates are strongly encouraged to explore displays, talk with key stakeholders in agritech and foodtech and engage with all the Marketplace has to offer. Breaking away from the traditional exhibition, the Marketplace consists of compact displays with company branding and space for your company representatives to talk with prospective investors and partners, clients and other industry stakeholders.